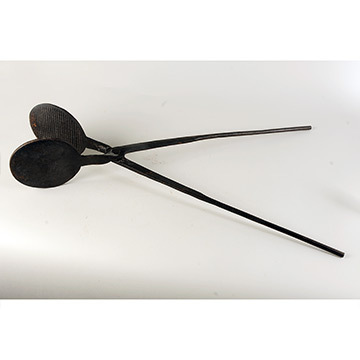 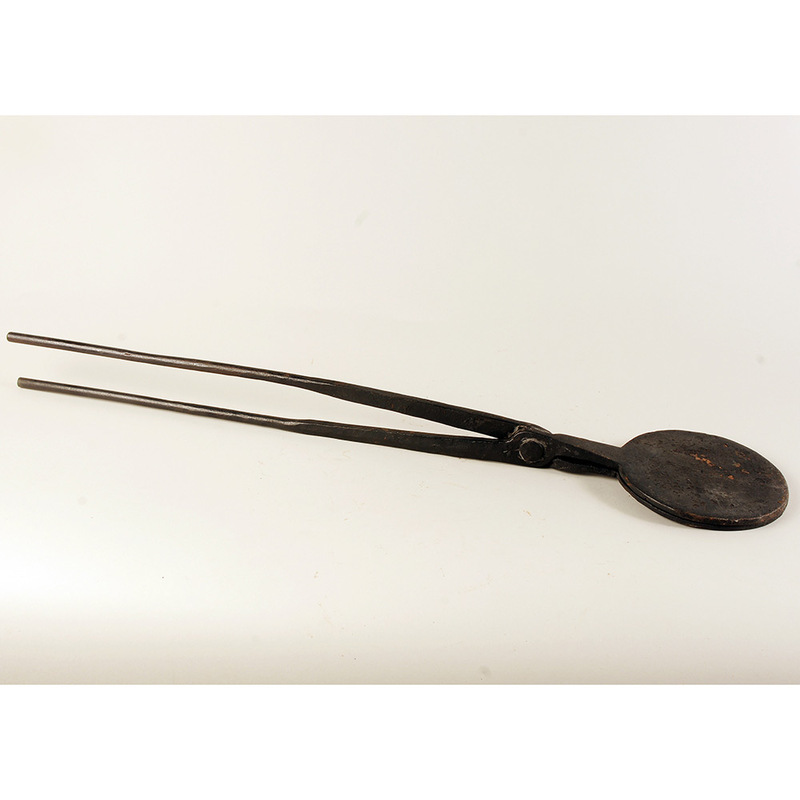 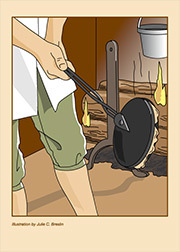 Blacksmiths handcrafted cast- or wrought-iron kitchen utensils, such as this wafer iron that pressed dough into flat disks for wafer cookies similar to pizzelles. Such a long-handled press, used in a fireplace or over an open fire, was common in Europe in the Middle Ages and later in the United States. 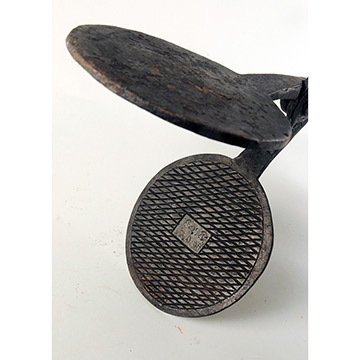 The maker incised the date in the grid pattern, along with six initials, possibly of the owner's name, on the inner plates.